For the most part I tend to shy away from posting family pictures lately, but my daughters looked so nice this past week-end that I thought I'd share a few photos. 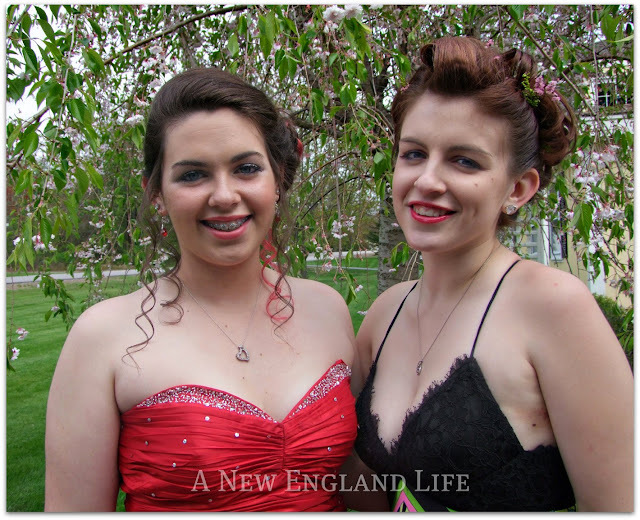 Both girls were invited to the Jr Prom even though one is a freshman and the other is a senior. Can you tell how happy they were to be going together? I love that they get along so well. At least they usually do . . . This is my younger daughter and her boyfriend who have been dating for a year and a half! The senior and her boy-friend. As much as he likes her, she just wants to be friends. 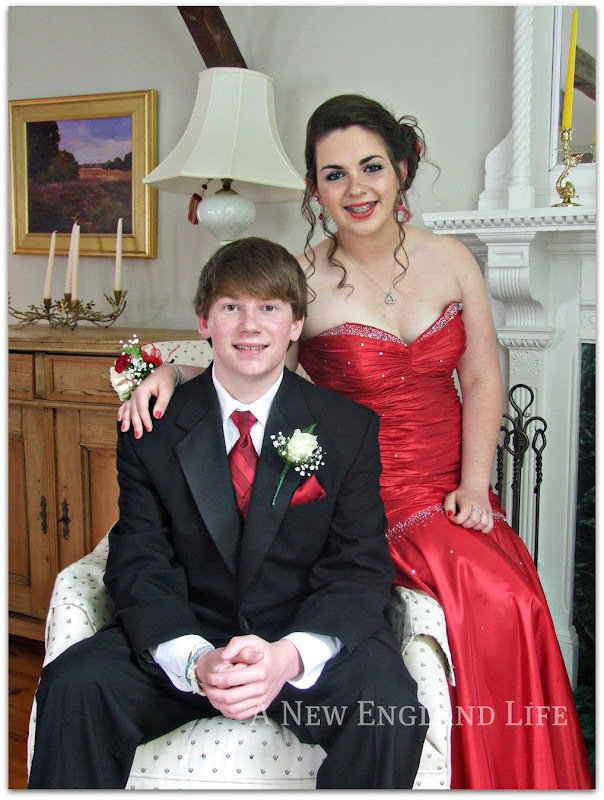 She will hopefully be headed off to college this fall anyway while he will still be in school. Both boys are such nice kids, they really are. 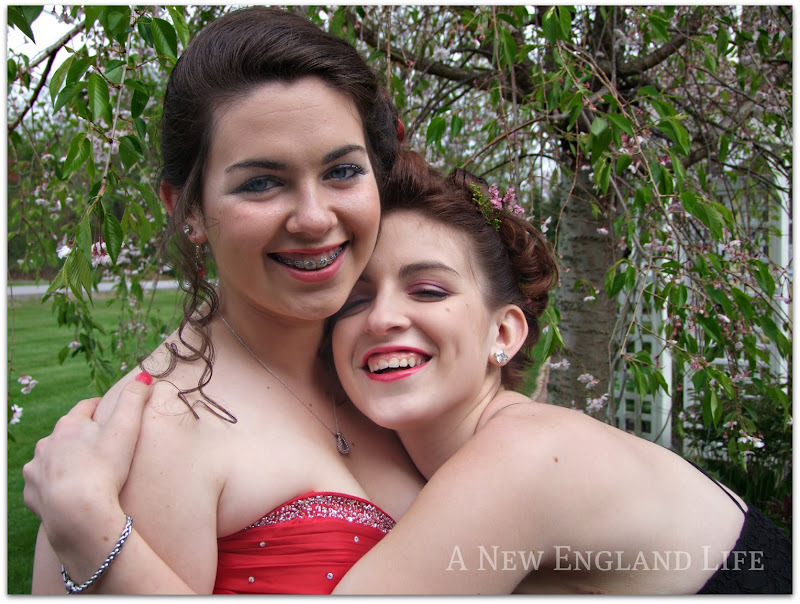 It was a magical day, between hair, make-up, friends, pictures, and the Grand March. 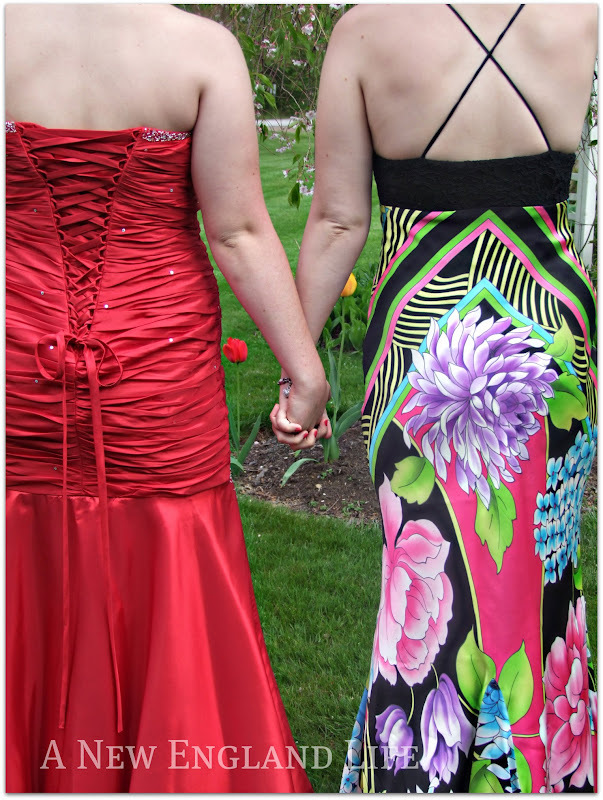 In a couple weeks we get to do it all over again with my older daughter at the Senior Prom! I can hardly wait!!! Awww! You have 2 beautiful young ladies! I Wish them much success and happiness. Such sweet pictures and fun times to share with your daughters. You are lucky! How fun Sharon to enjoy this day with your girls. They look so happy and excited. Thank you for sharing your photos of them. It is so nice to see pictures of the ones you love. Those pictures are so sweet! Love the third down. Candid is always my favorite. What fun times for you and your girls! I hope they had a wonderful evening! What a wonderful day. You really capture the excitement, energy and beauty of your girls. Brilliant !! You must be so proud of your beautiful girls! Always wished I had a sister, as does my daughter, a special relationship. Thank you for sharing these precious family photo's. Beautiful daughters and how wonderful that they get along so well. Your daughter in the red dress looks like a young Elizabeth taylor. Your daughters are both so attractive! How sweet that they went to the dance together! Two beautiful girls! No wonder you wanted to do a post about them! What a wonderful memory to capture. Oh what fun, girly times! They are both so cute! Glad to hear she 'just wants to be friends' and is making the great choice of heading off to college. That's really important. Lovely photos of your sweetie pies. 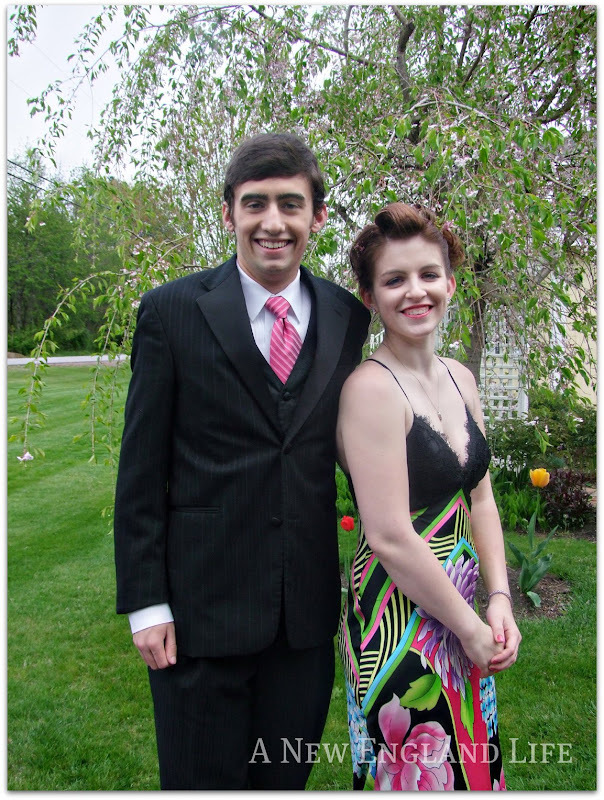 I love prom season. They both looked lovely. Sharon- your daughters are such beautiful young ladies- these photos are stunning. Those smiles- the dresses- they are lovely in every way. You must be so proud- and rightfully so!